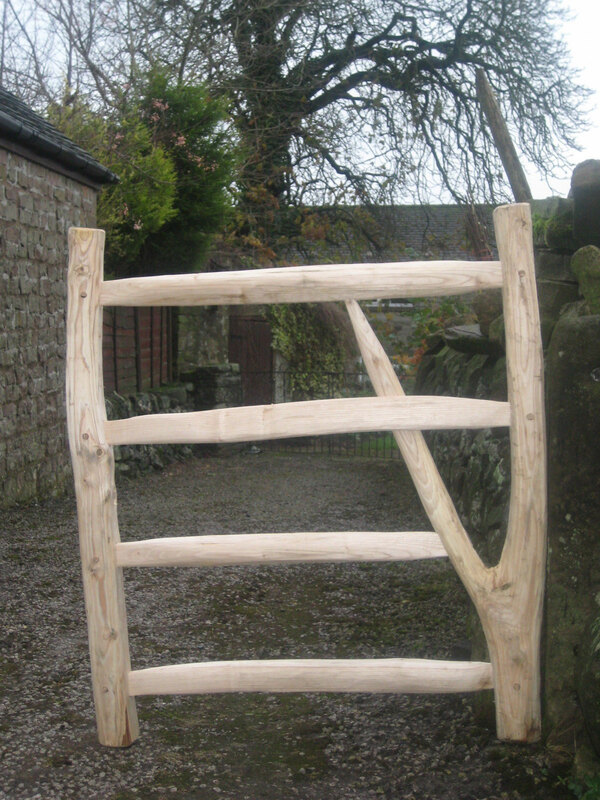 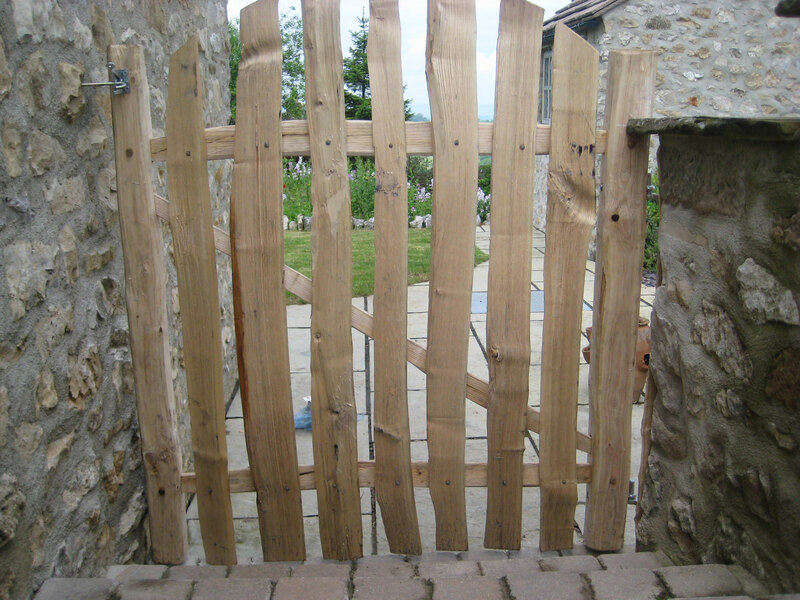 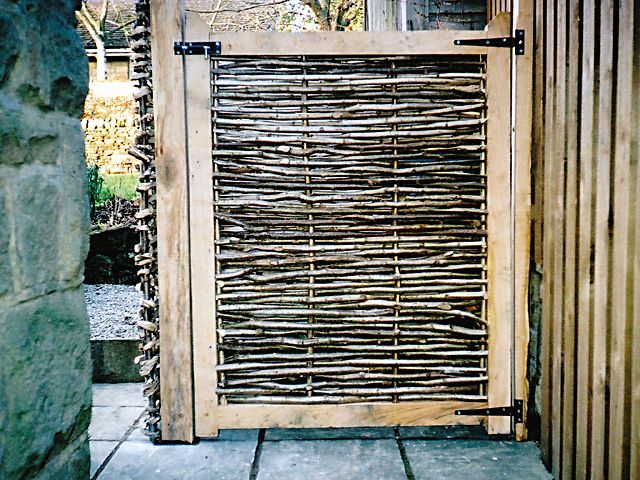 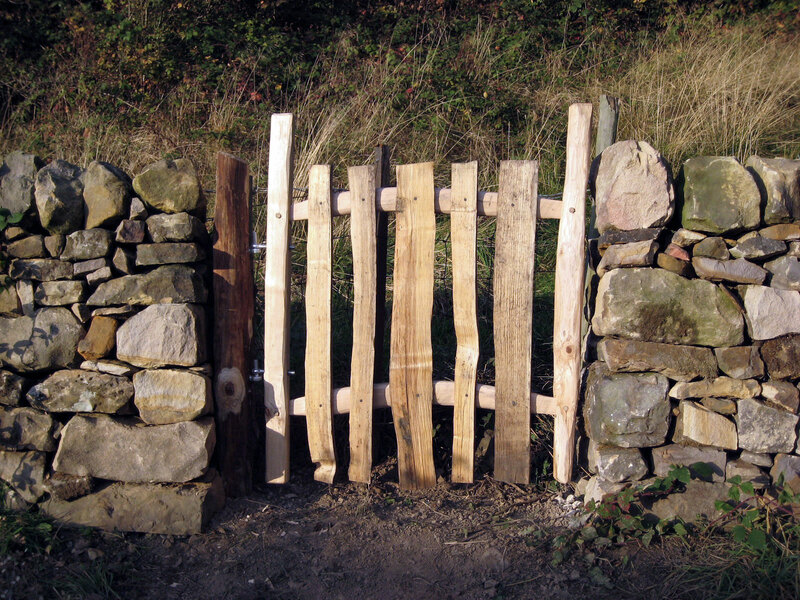 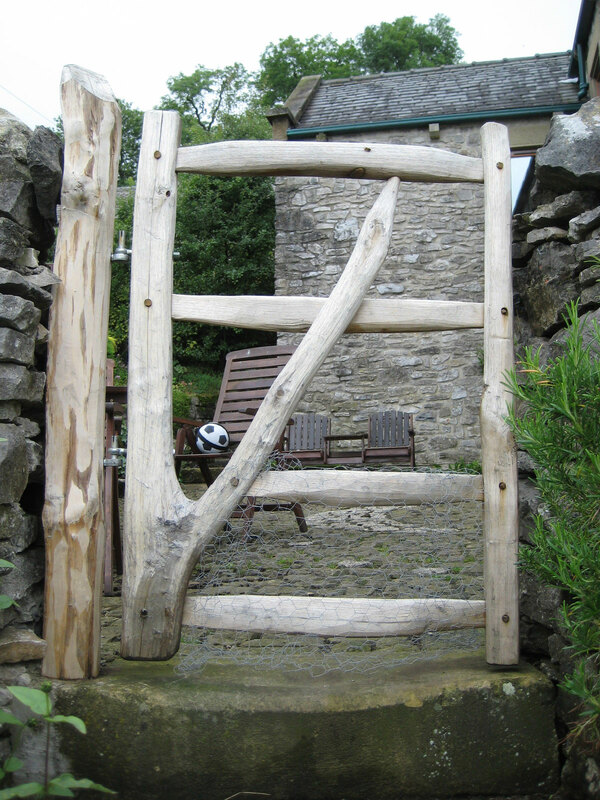 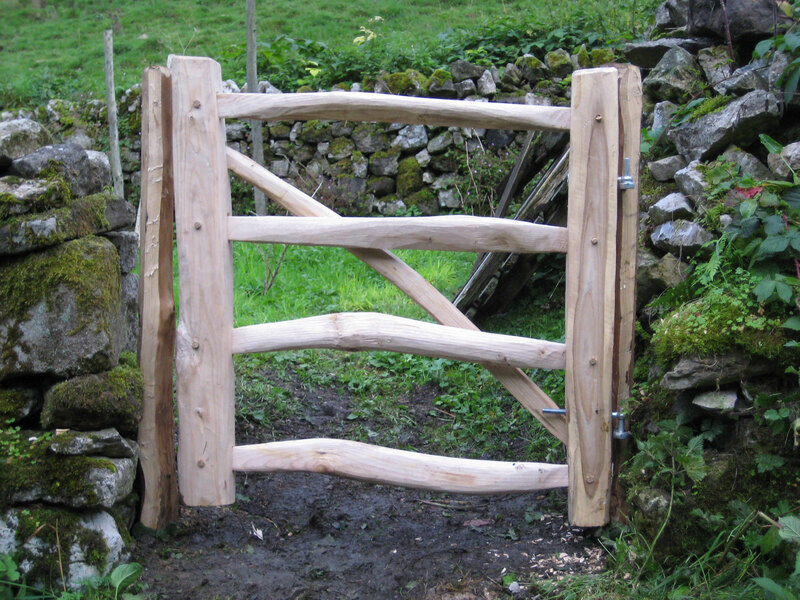 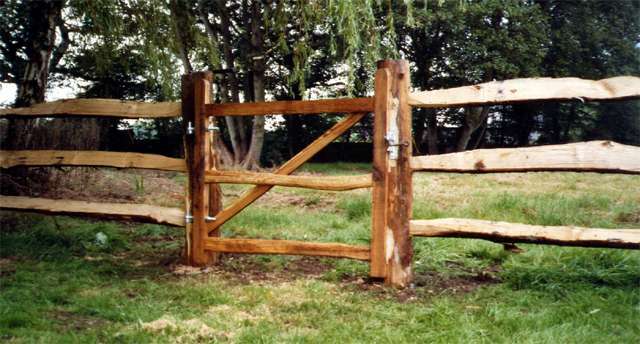 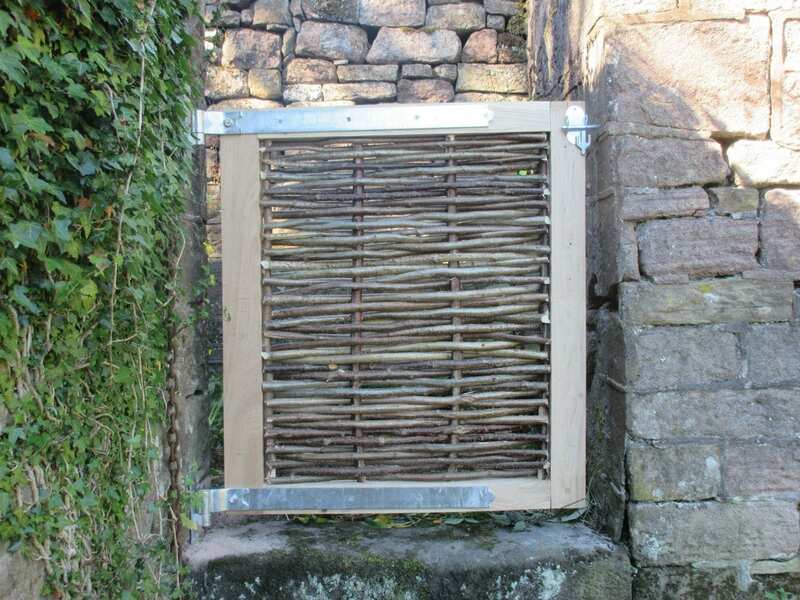 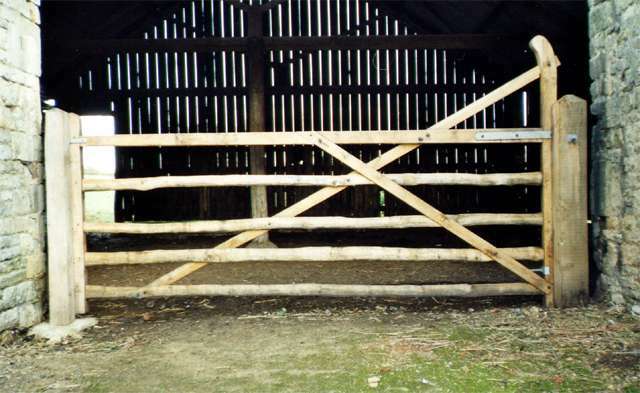 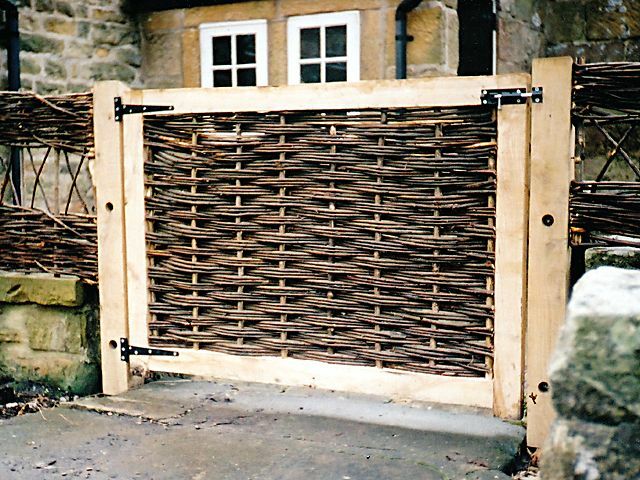 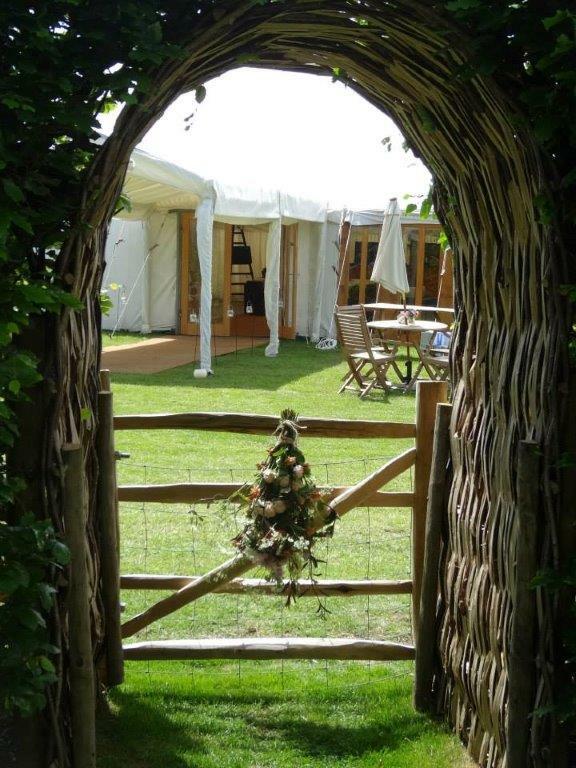 All gates are made of oak or chestnut with mortice and tennon joints, held tight with oak pegs. 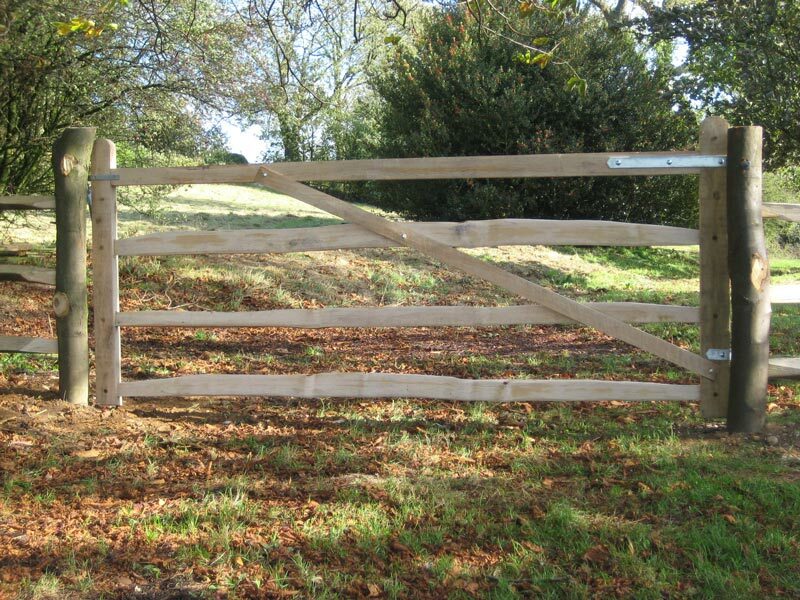 Oak and chestnut have a very high natural tannin content providing excellent resistance to decay and so do not require artificial preservatives. 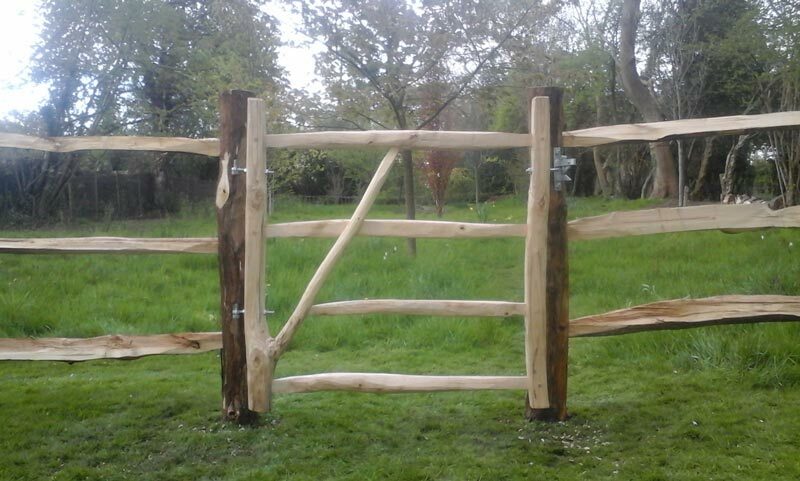 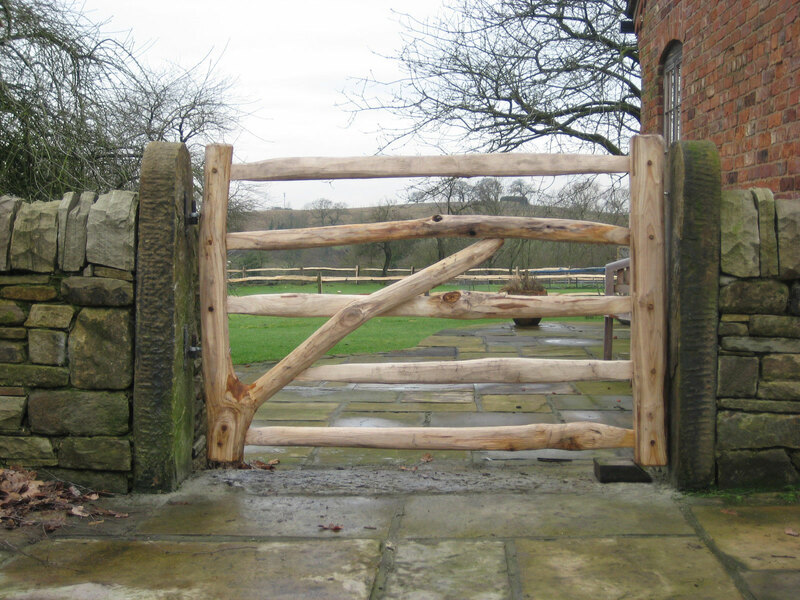 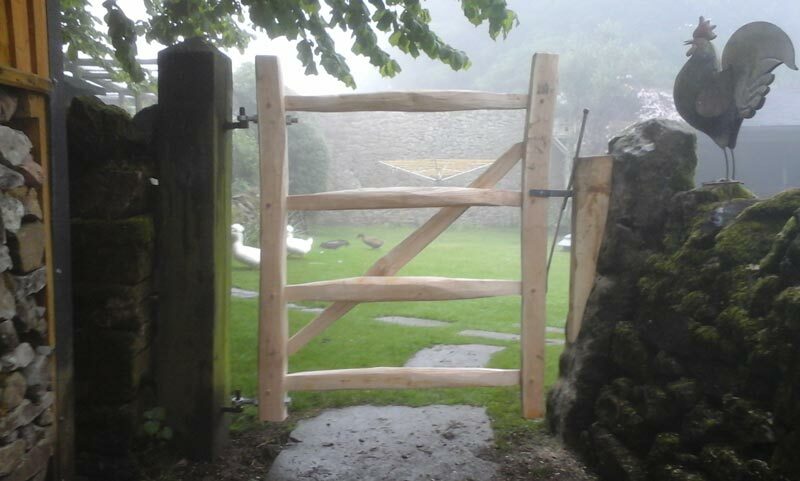 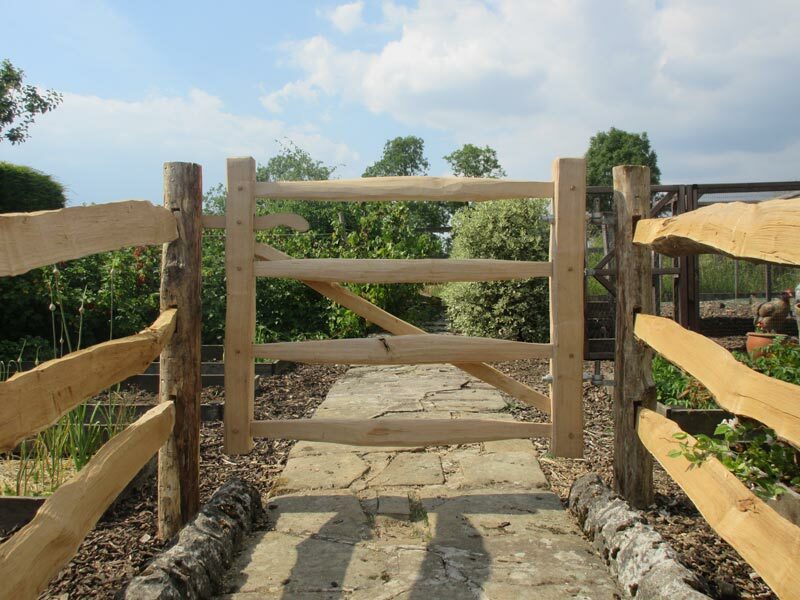 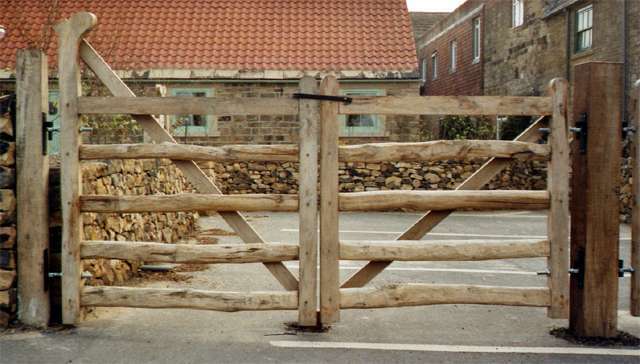 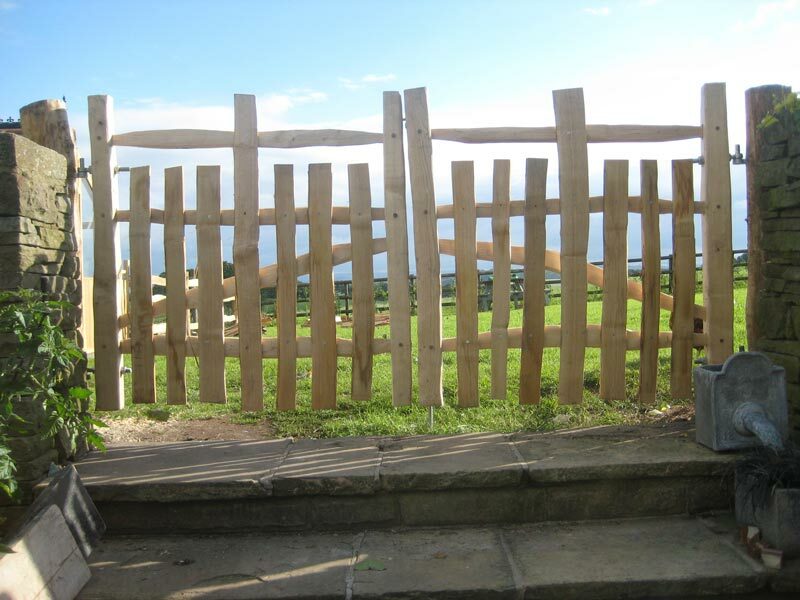 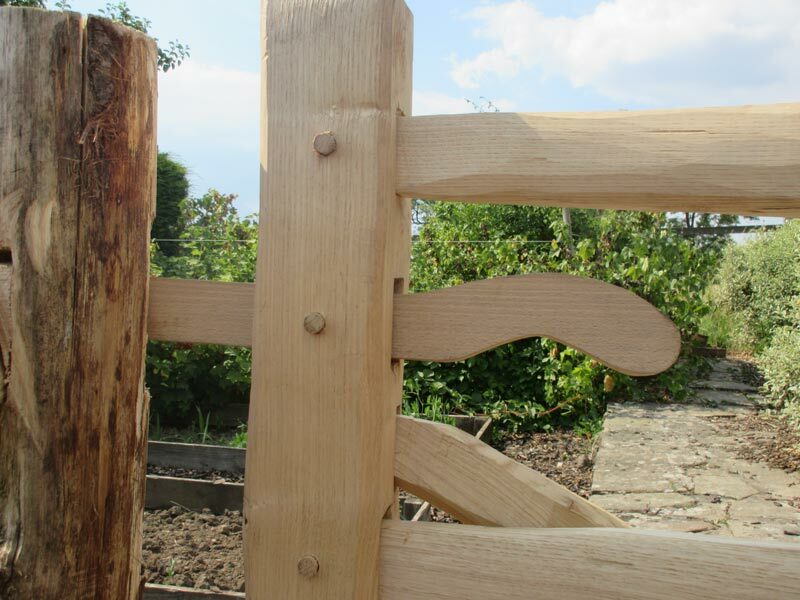 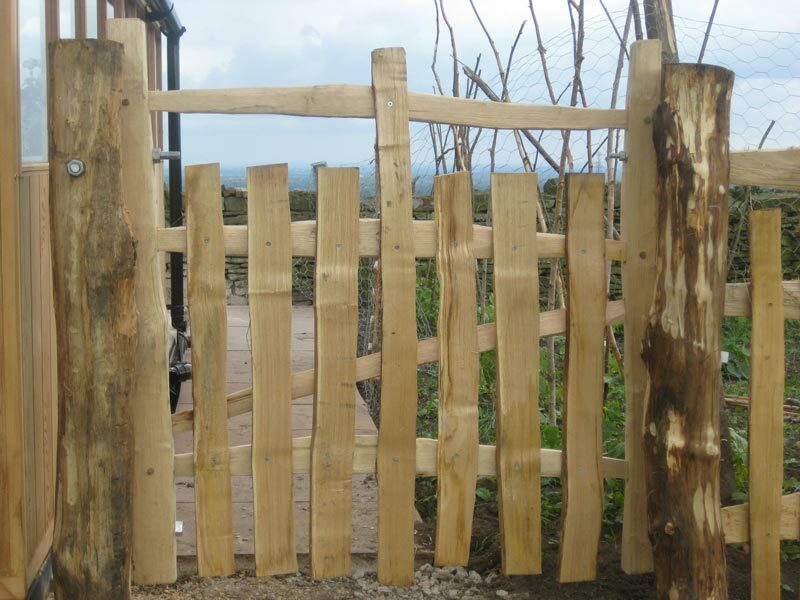 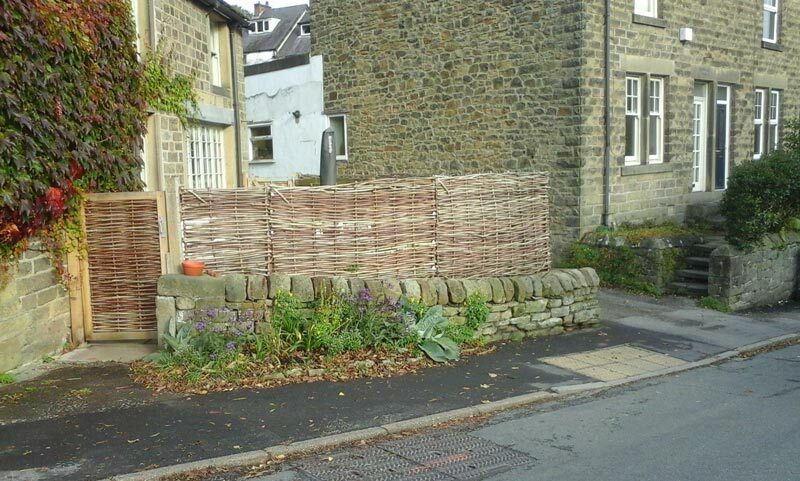 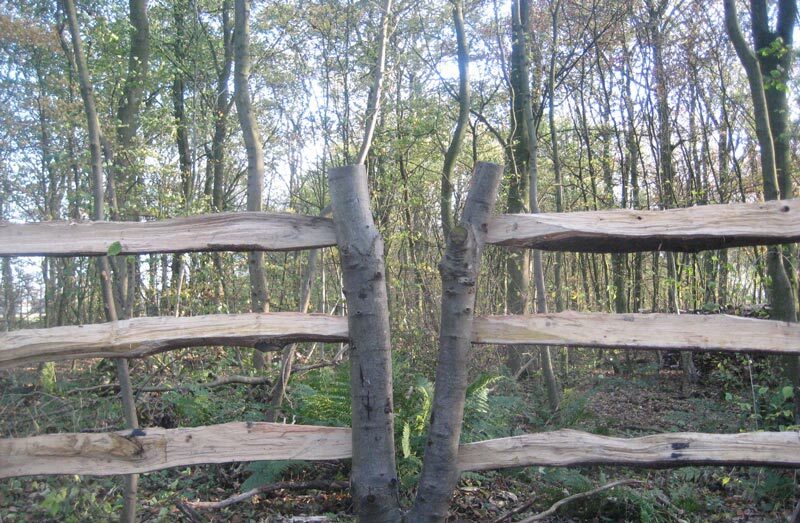 Sawn square chestnut posts or rough round posts are available to hang gates. 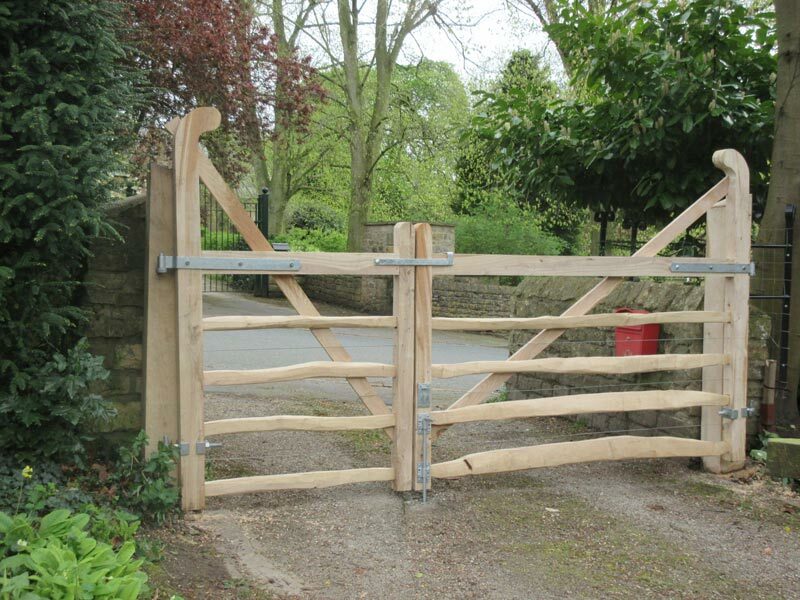 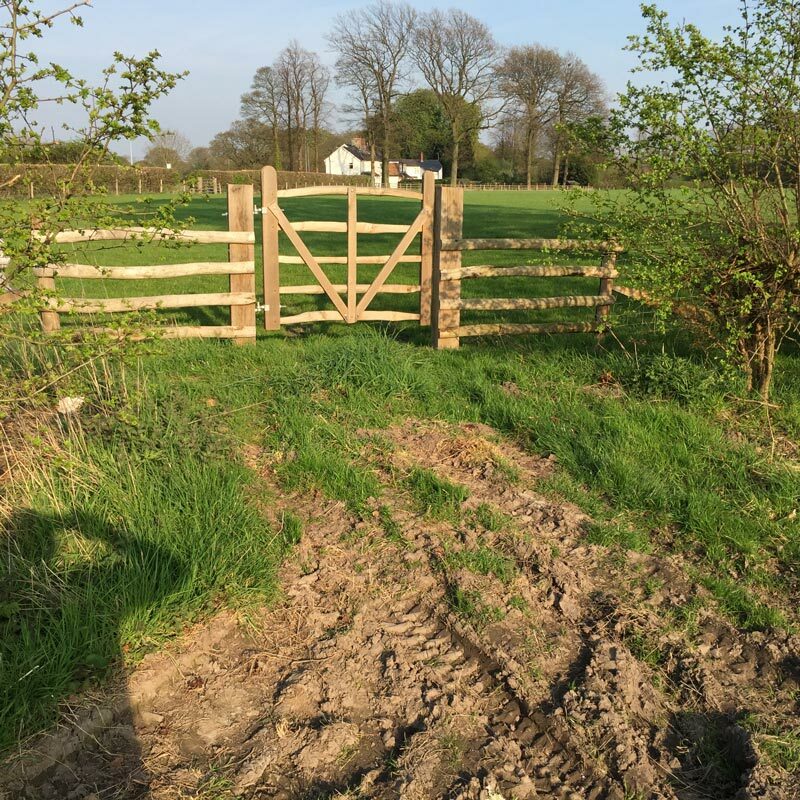 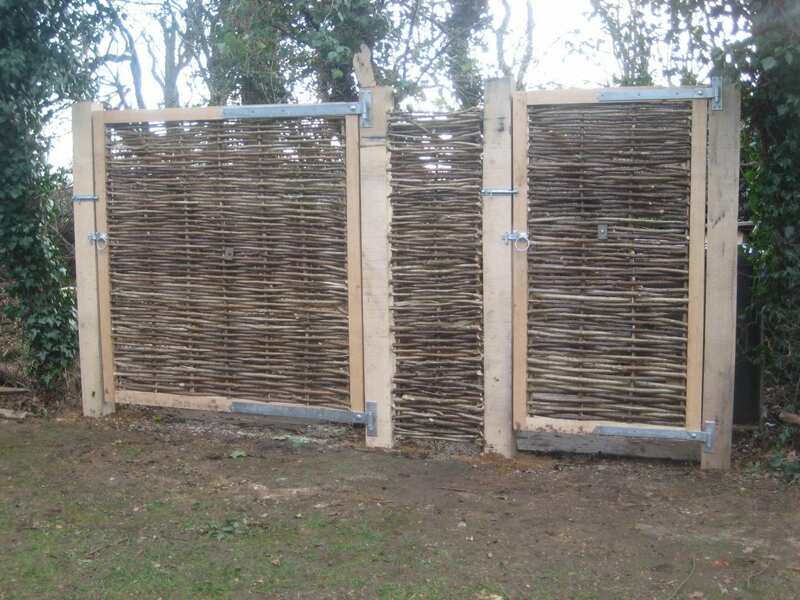 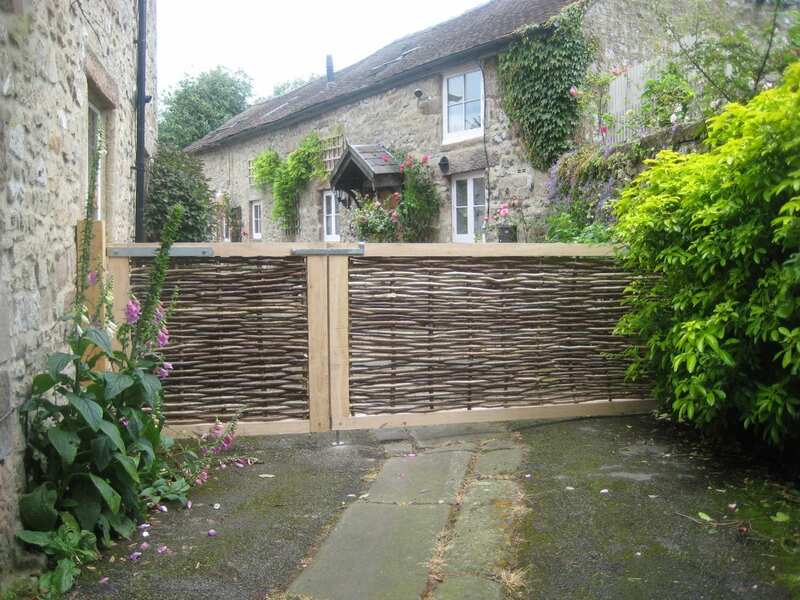 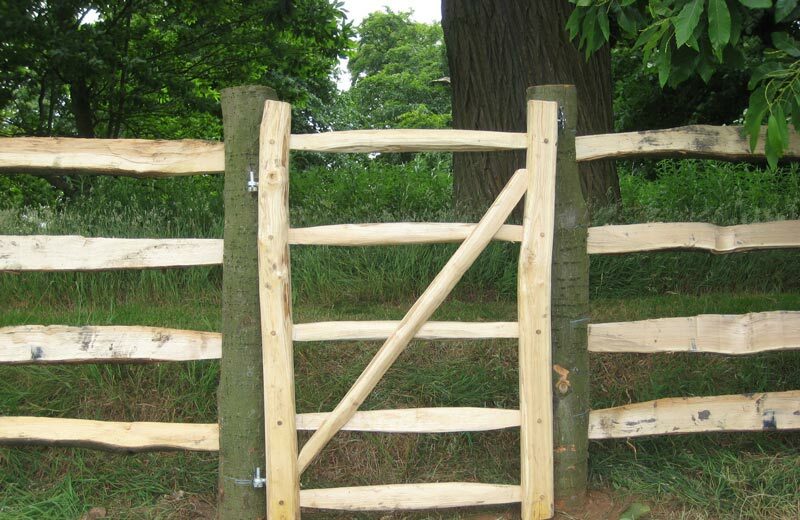 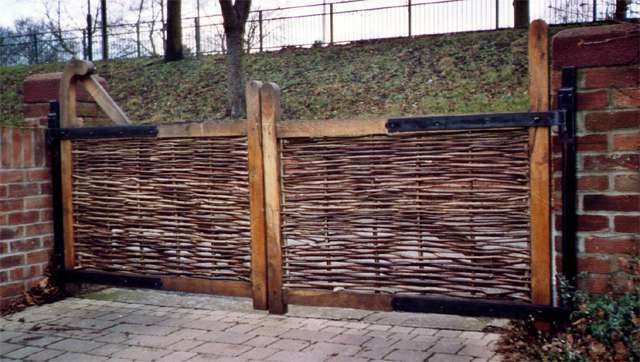 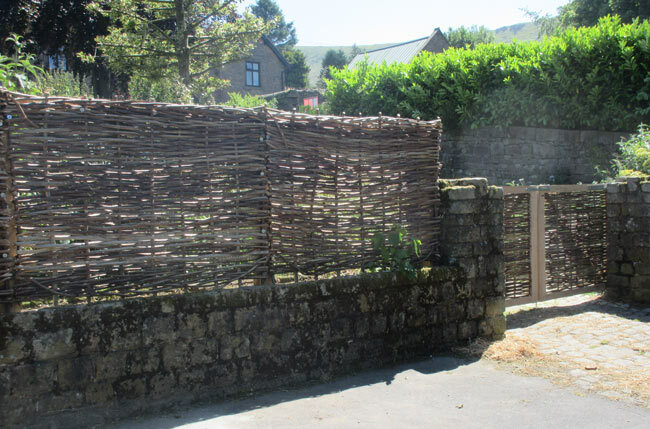 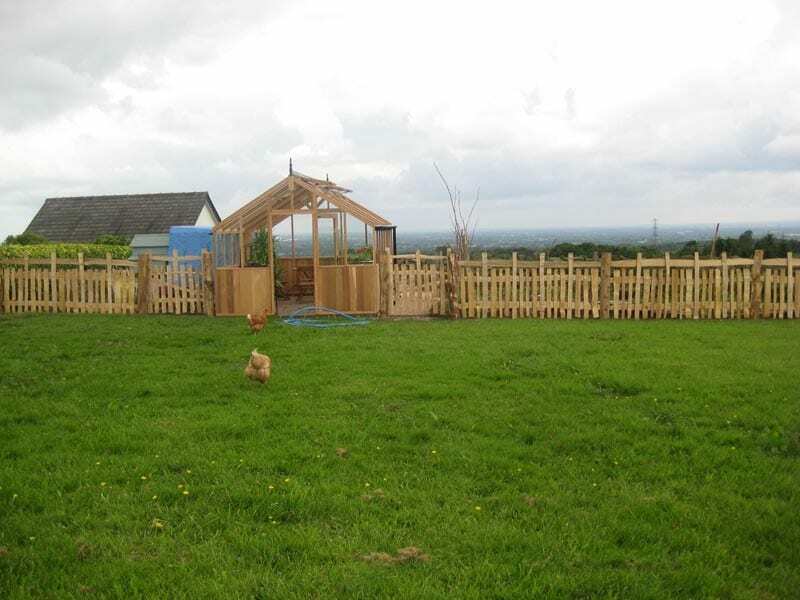 Each gate is made to order, as an individual item or to match the different styles of fencing we manufacture. 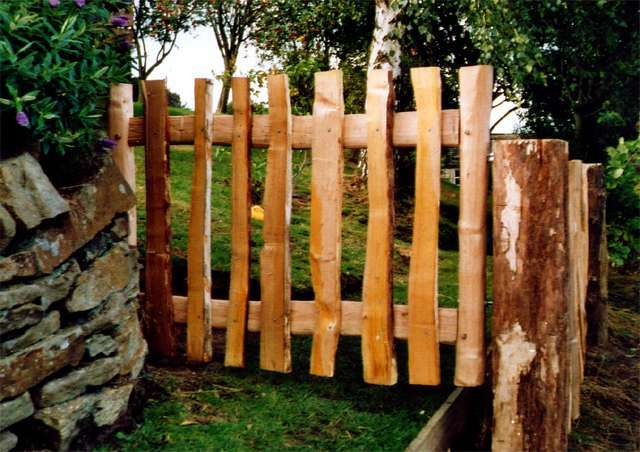 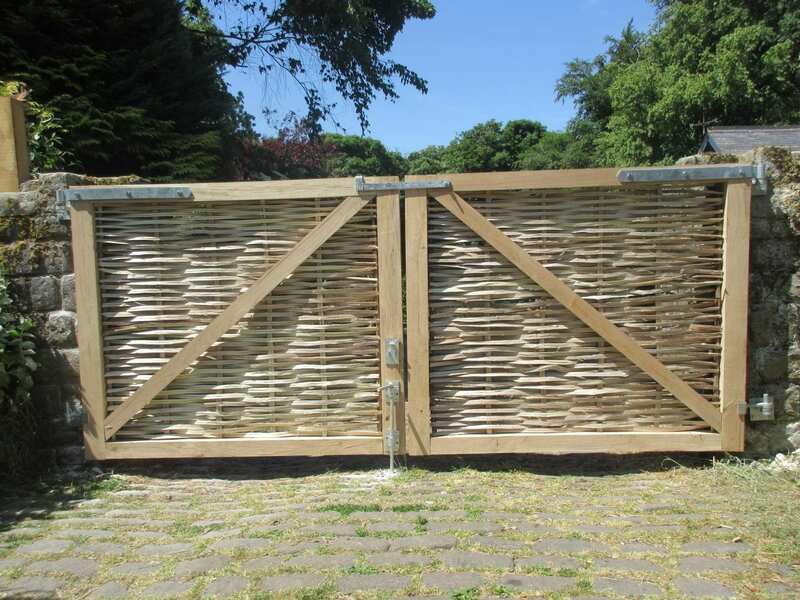 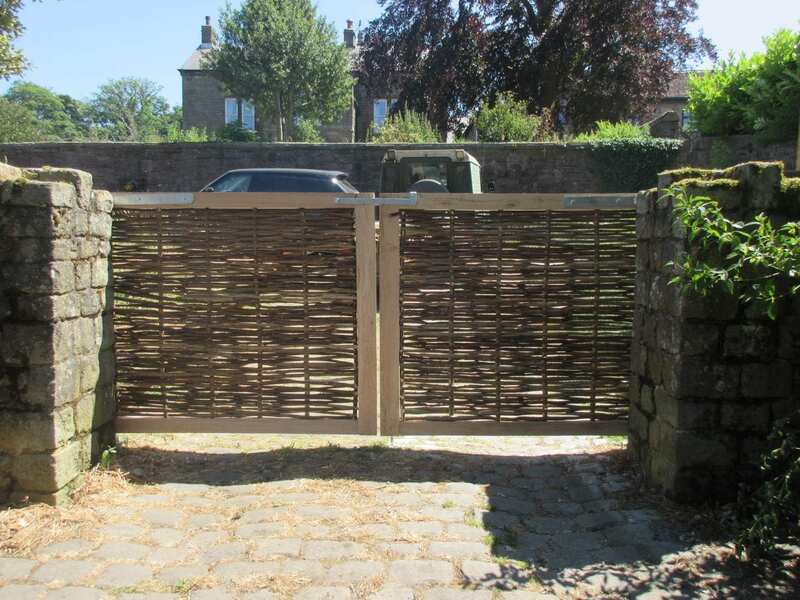 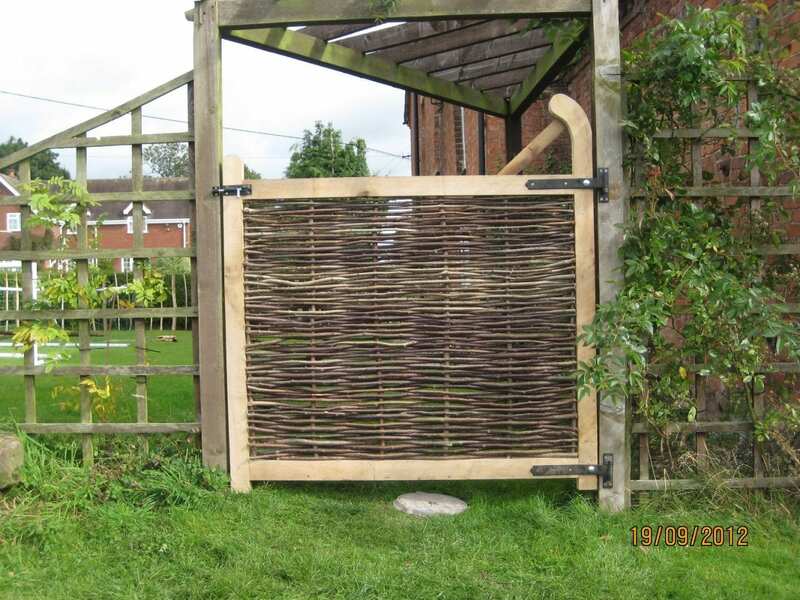 Most sizes of gate can be made to most designs that you may require. 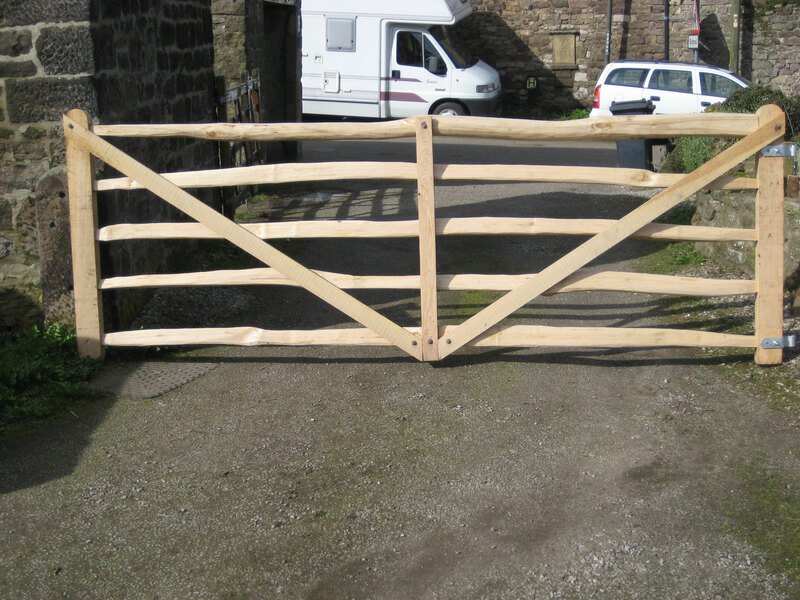 Please phone or email to discuss your size and design requirements. 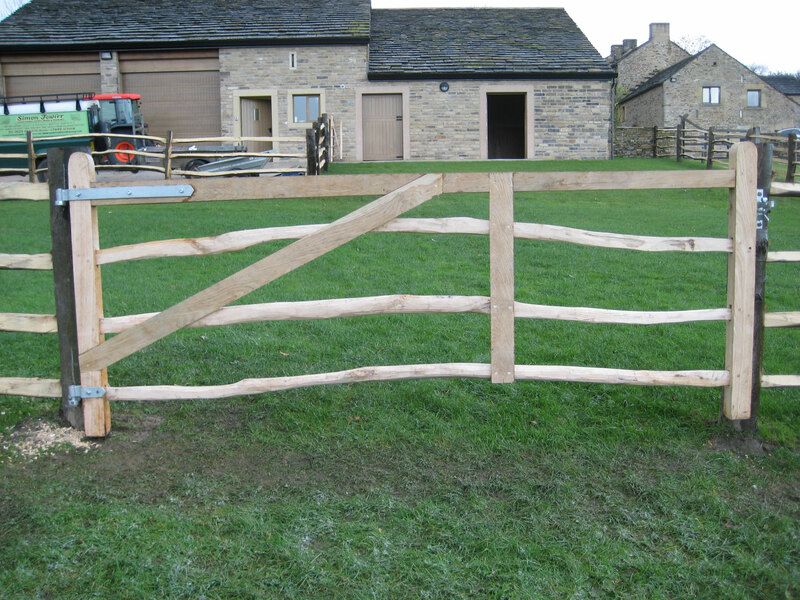 Each gate is made to measure so cost varies accordingly. 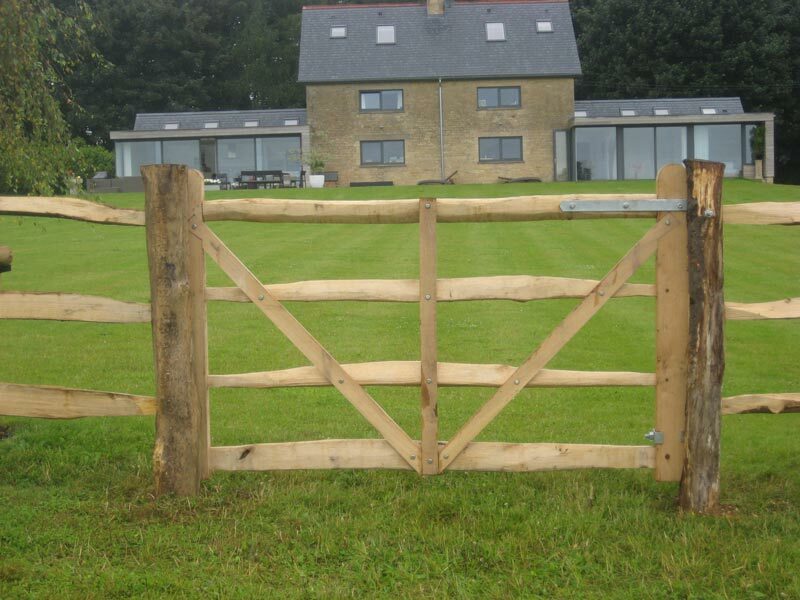 To receive a quote, please e-mail your design and the size of space (height and width) you propose to fill. 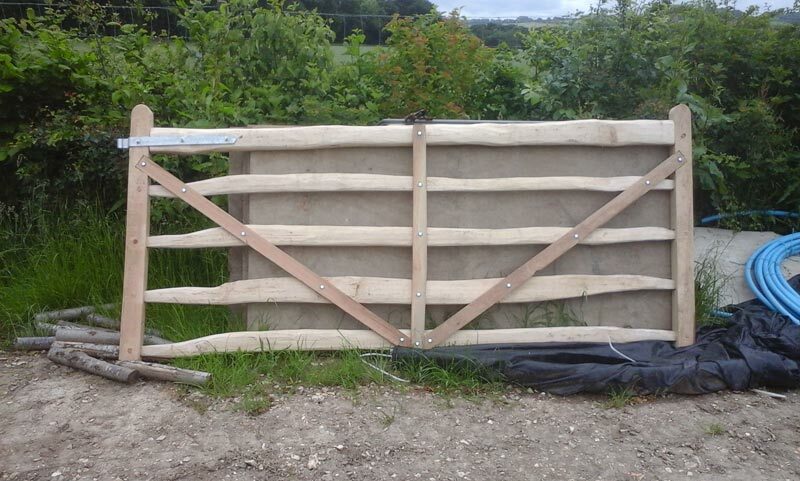 Please indicate if you require posts or if any hinge parts are already present. 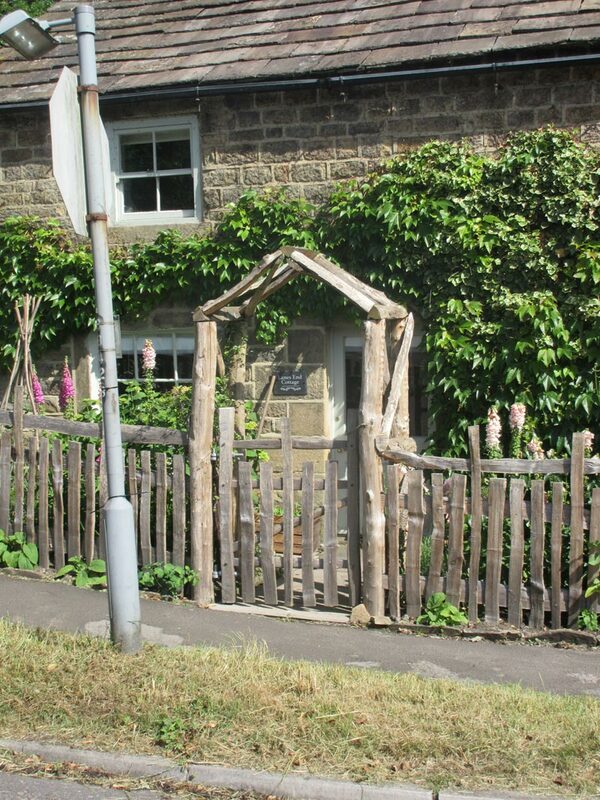 The prices attached to the photos give a likely indication of cost. 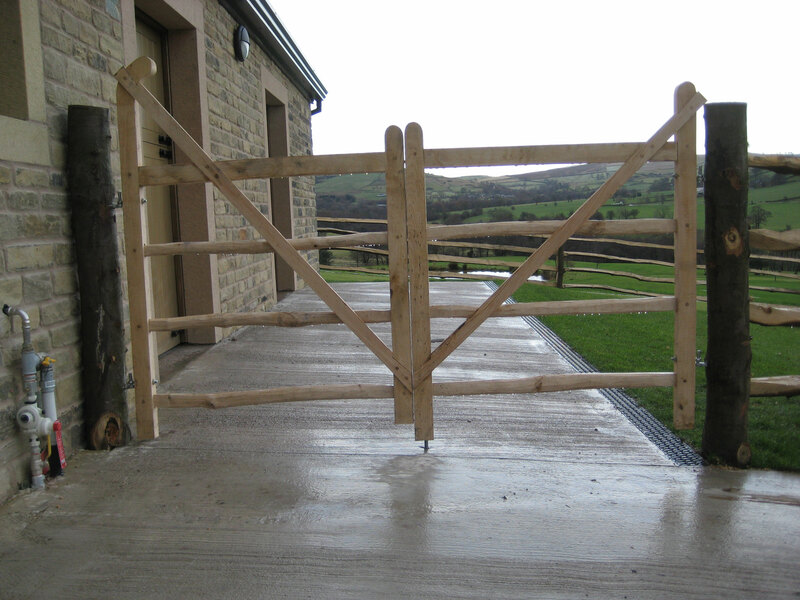 As each gate is made to measure, a 50% deposit is required. 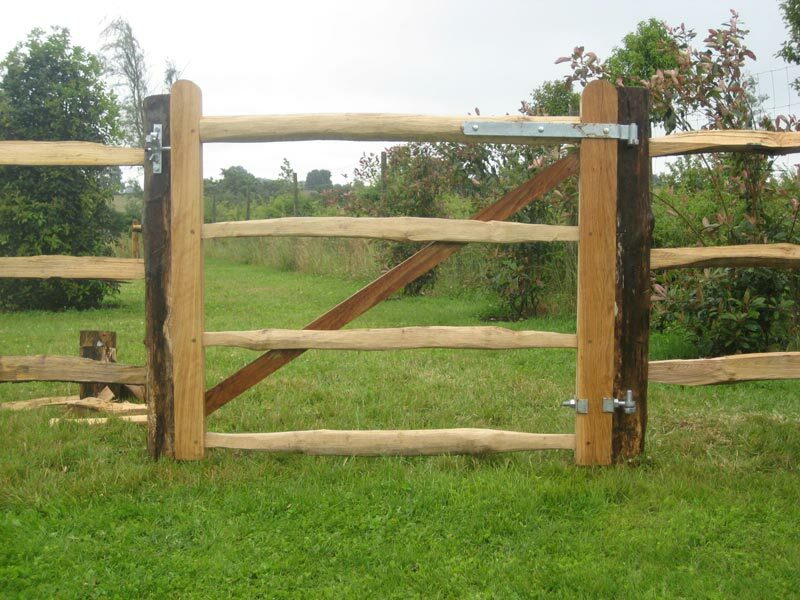 Prices include hinges and latch. 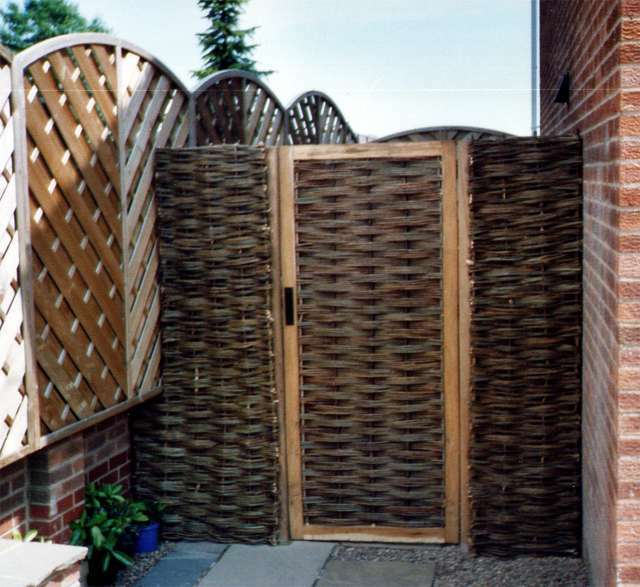 Delivery and fitting are available on request.